From its medieval town center to its legendary culinary scene, Bologna is one of Italy’s most beloved cities. Explore the city by bike, join a local guide for a food-themed tour, or get outside the city to learn about the regional tradition of luxury cars on a racetrack during a visit. Here are our top choices for three days in Bologna. Learn about Bologna’s history and architecture during a walking tour including major landmarks such as Piazza Maggiore and Basilica di San Petronio. Opt for a cycling tour to cover ground quickly, or customize a private tour according to your interests and see the city’s ancient canal system and historical palaces. Explore—and sample—Bologna’s vibrant food scene with a culinary-themed walking tour and visit markets, bakeries, and traditional food stores including a pasta maker. Finish the day with a Vespa rental and cruise through the city at your own pace to check out the glow of the city’s landmarks after dark. Start the day with a hot-air-balloon ride above Emilia Romagna to view vineyards, valleys, and castles. Continue an adventure outside the city center with a food experience, either a Parmigiano-cheese-and-balsamic-vinegar-themed tour or an itinerary that also includes prosciutto and a local winery. These gourmet culinary experiences include multicourse meals at authentic trattorias and wine tastings from local vineyards. Return to the city center of Bologna with a much greater understanding of its culinary traditions. Learn about the art and design of Ferrari and Lamborghini during a tour that includes their production lines and museums displaying a variety of powerful cars and sports bikes. Slip into the driver’s seat on a tour that includes a test drive or a driving experience on a racetrack for a behind-the-scenes glimpse into the production of some of Italy’s most famous sports cars. Travelers that aren’t interested in luxury cars can opt for other day trips including to the charming city of Modena, known for its food and a quieter atmosphere than Bologna. Rev your engines for a behind-the-scenes look at Italy’s famously fast motorsports culture. On this full-day tour of the ‘Land of Motors’ from Bologna, see how some of the world’s sleekest, most powerful cars and sport bikes are made during a tour of the Ferrari Museum, the Lamborghini Museum and the brand new Pagani museum and factory. Visit production lines, test tracks and official museums to trace the history of these state-of-the-art speed machines. Midday, take a break from touring for a delicious lunch with drinks near the Ferrari factory in Maranello. Fulfill your need for speed on a private full-day tour of Italy’s ‘Motor Valley’ from Bologna. Get an insider’s look into the production of some of the world’s fastest and most coveted cars and sport bikes as you tour the factories and museums of Ducati, Ferrari and Lamborghini. Feel the power of these famously sleek machines with an optional test drive of a Ferrari California Turbo or other world-class model. Taste regional cuisine with a midday lunch break, and enjoy the personalized attention of a private guide all day. Drive a Ferrari on an Italian race track during a 2-hour driving tour near Bologna. Open up the power of the Ferrari F458 Challenge as you speed around the track five times. Your professional Ferrari driving instructor shares driving and safety tips for the experience of a lifetime. Upgrade to include round-trip transport between the racetrack and Bologna. 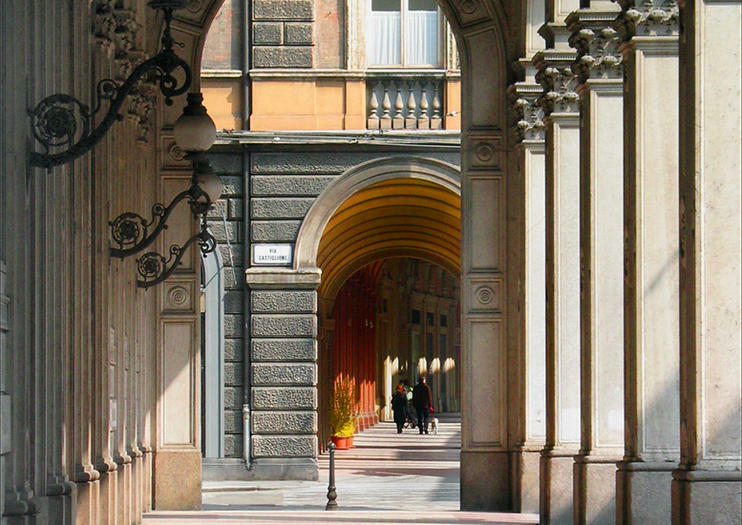 Explore Bologna by two wheels on a private bike tour of the city. The 2-hour tour takes in the city’s best-known sights and gives the lowdown on their history. Pedal past stately palaces such as Palazzo re Enzo, Palazzo Accursio and Palazzo del Protesta; learn about the public library of Sala Borsa from your private guide; and pose for photos by the Fountain of Neptune — a landmark that hails from the 16th century.